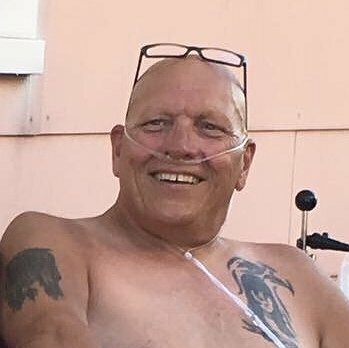 Help Bill live his new life with new lungs! Bill Gross was born with a genetic condition called Alpha-one Antitrypsin Deficiency. This disease causes emphysema in the lungs over time. In 2003, Bill’s lungs were deteriorating quickly, and he was listed for a double lung transplant at Temple. Years went by, and he only received one call. He was eventually taken off the list and decided that maybe he wasn’t meant to have lungs. At the end of 2017, he decided to try again. His lung capacity was at 18%, and he could no longer enjoy his favorite hobbies, such as riding his Harley, working on motorcycles, walking the dog, and going places with his close friends. He was on oxygen almost 24 hours a day, and was uncomfortable even sitting down resting. He knew that his body could not handle much more, as it starved for oxygen every day. He knew time was running out, and he was listed again, but this time at the Hospital of the University of Pennsylvania. This would be his last hope. On June 2, 2018, Bill finally received the gift of a new life in the form of two lungs; a gift that he has been waiting over a decade to receive. He had a very rough month in the hospital, but is looking forward to his journey toward recovery. However, his new life comes with a price. Bill is on several medications to keep his lungs healthy for the rest of his life, some of which insurance does not cover. He is also traveling back and forth to Philadelphia each week for therapy, and the cost of hotel rooms is adding up. He is on a fixed income, and cannot afford all of his necessary medications. Bill is so thankful for his many friends who have been so supportive of him. He is the type of person who would always lend a helping hand when needed. Now, he’s the one who needs our help. Please consider donating, so that he can have a better life. Bill should only have to worry about getting better and getting all the years back of his life that he missed. Please spread the word! Any donation will help! It is finally time for Bill to live the life he deserves. As of July 18, Bill is back in the hospital for another week. There was a scab where they attached his esophagus, and it fell off prematurely. He is currently receiving IV medications there, and is hoping to be released soon.